This is how the Mars Attacks card series ends, not with a whimper, but with a BANG! While Tim Burton decided to take the Mars Attacks! 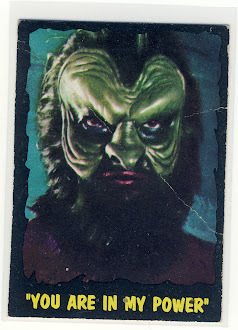 film conclusion in a Slim Whitman direction and the fighting never leaves Earth, the original 1962 card series is much more cold blooded. 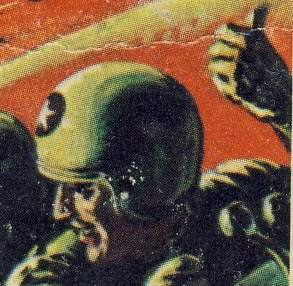 The Earthlings take their fight to Mars and the red planet explodes after the humans destroy much of the Martian civilization with their rocket ships. 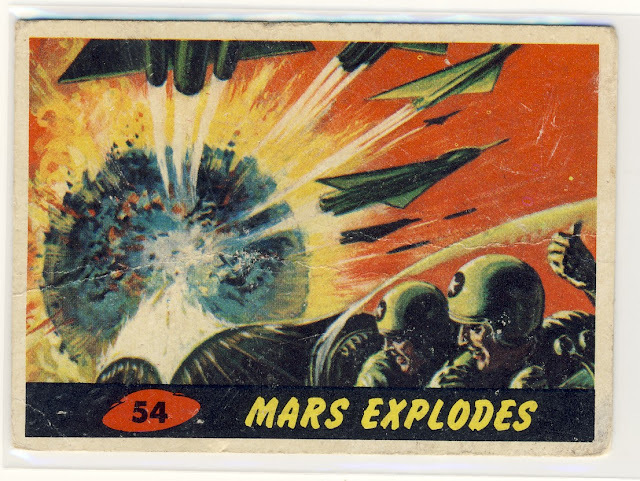 The look of sheer joy on the faces of the pilots as Mars explodes is just as frightening as some of the scandalous original cards. 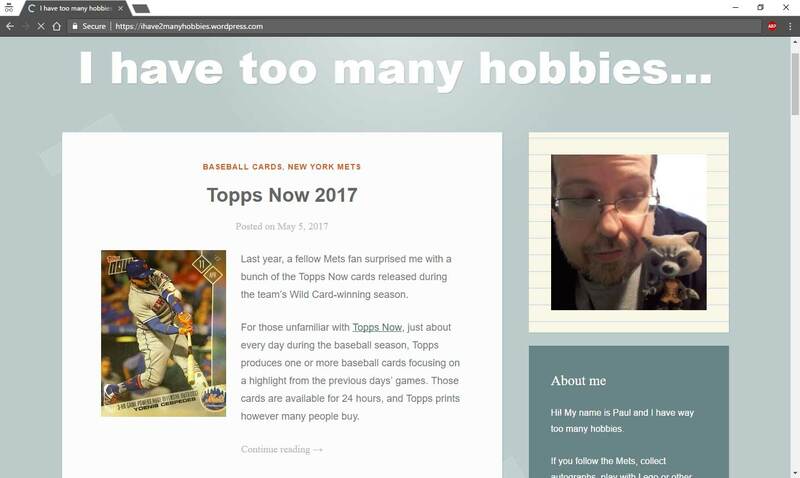 Card #54 isn't quite the end of the series as there is one more card which is a checklist. 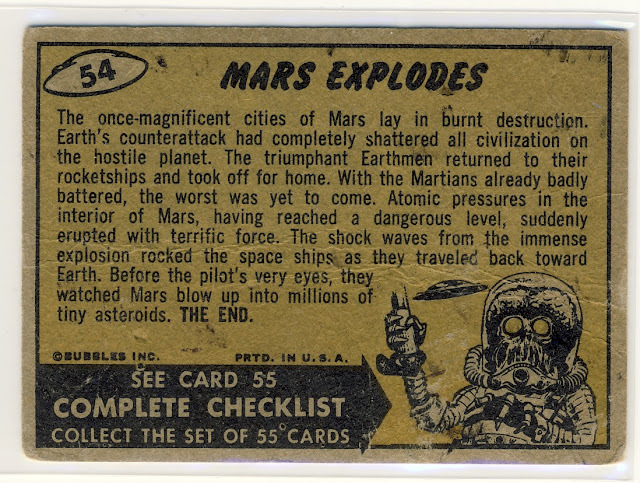 These original cards are pretty rare but finding a unused checklist in good condition is one of the harder things to find for Mars Attacks collectors.